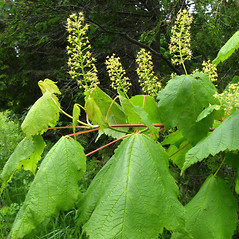 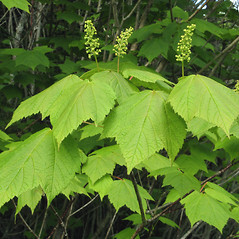 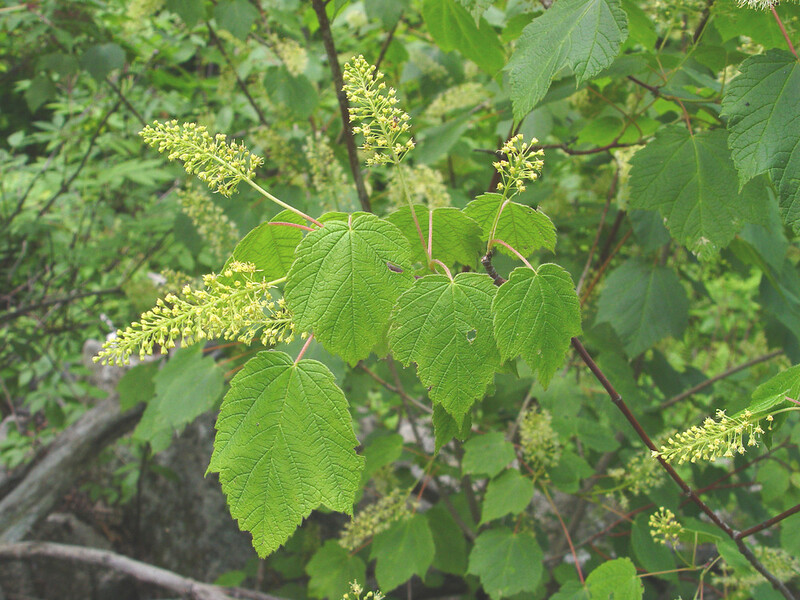 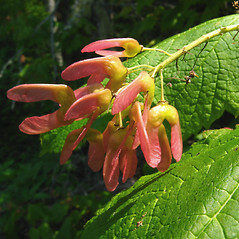 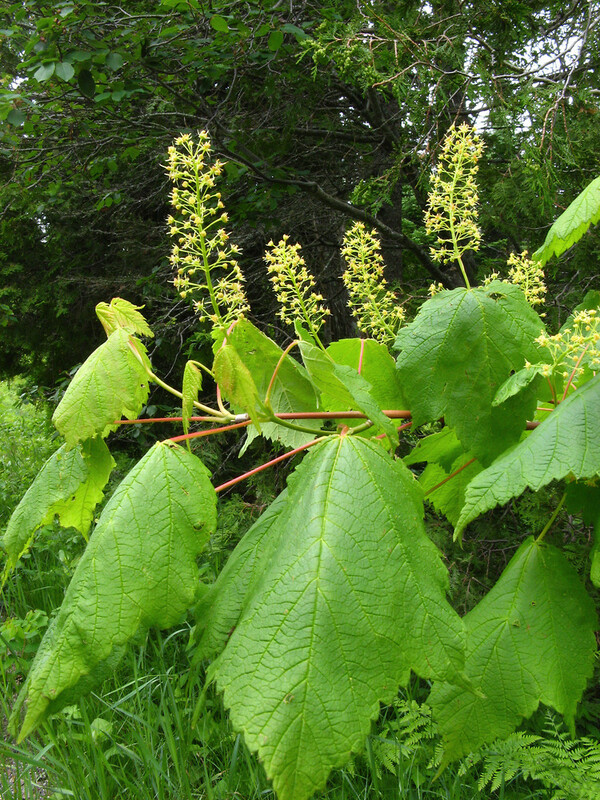 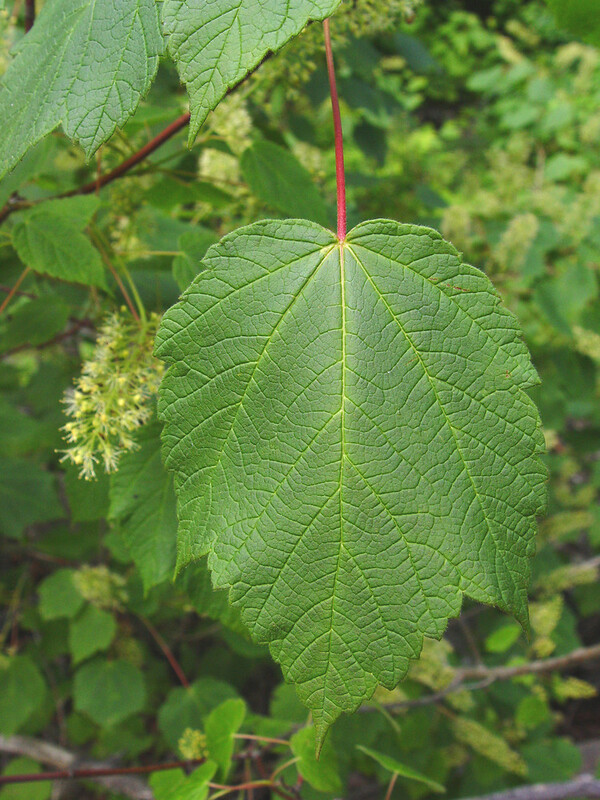 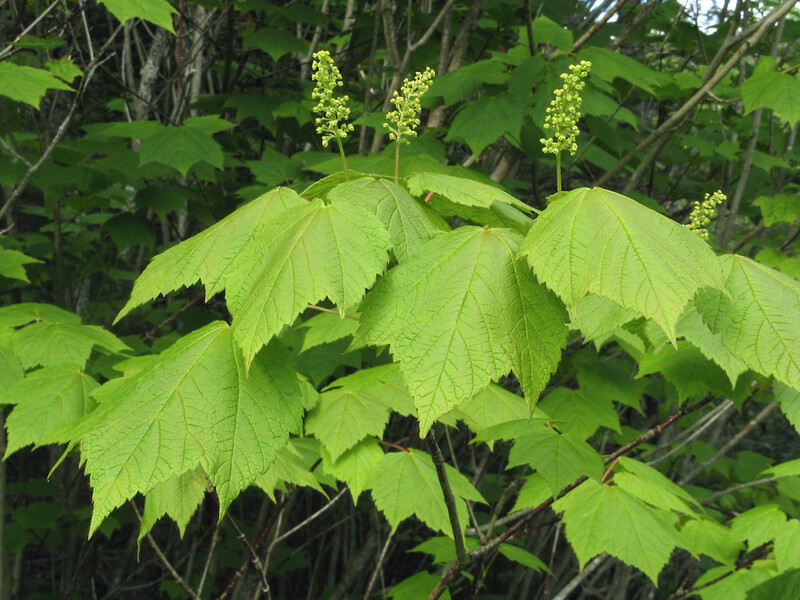 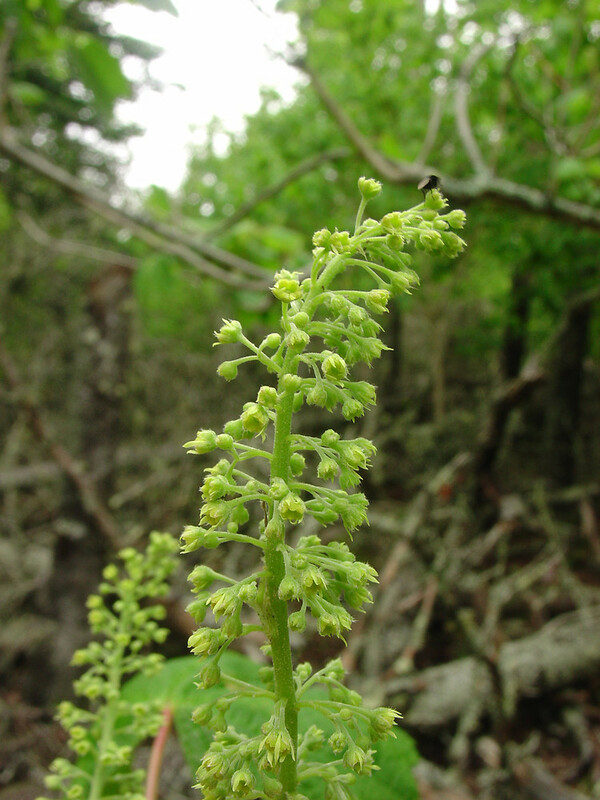 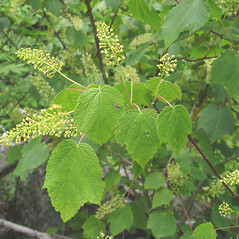 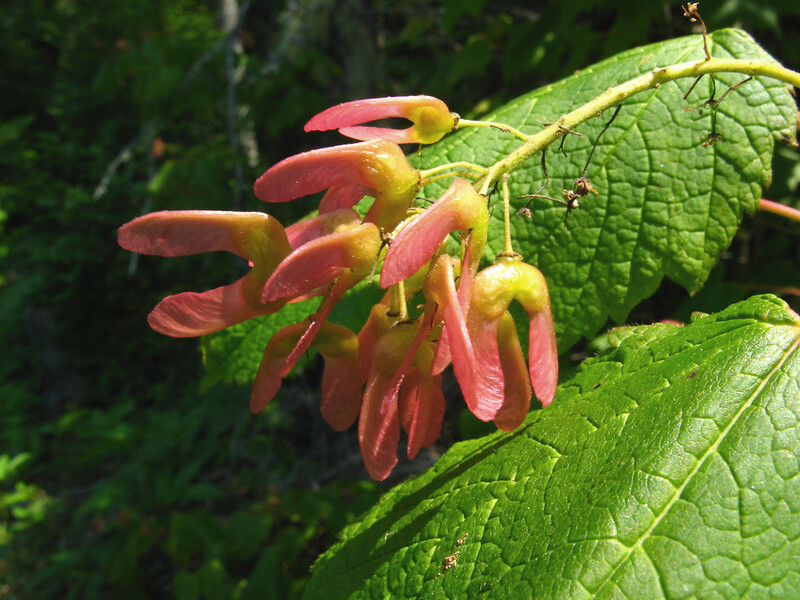 The Latin name (the specific epithet) of this shrubby maple species (spicatum) is a misnomer. 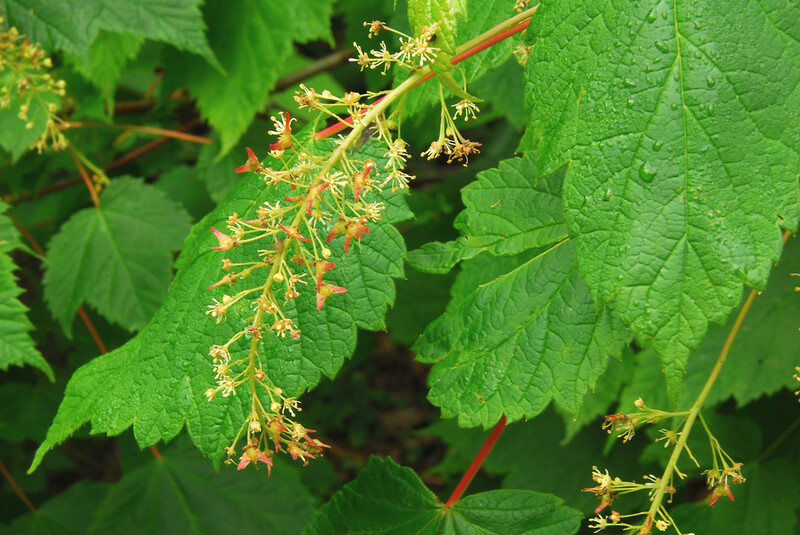 It suggests this species has a spike, when it fact it has a panicle. 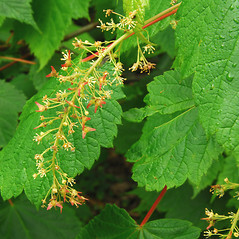 The small white flowers that are produced on an array that stands above the lobed and toothed leaves. 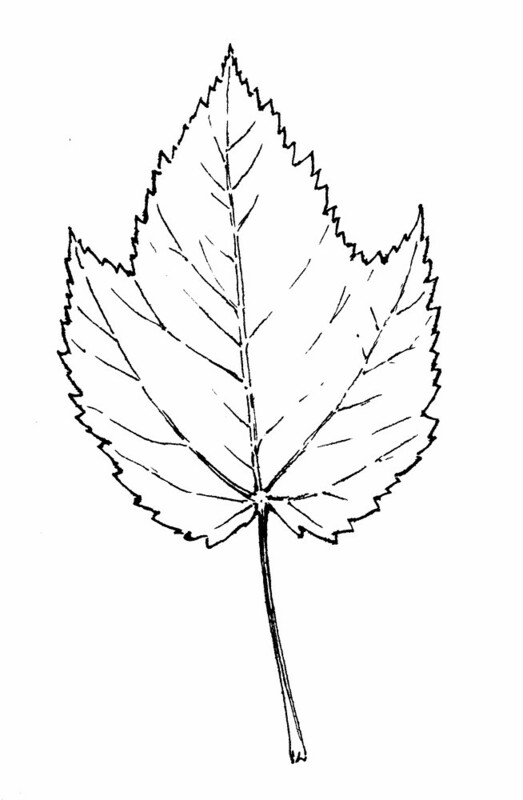 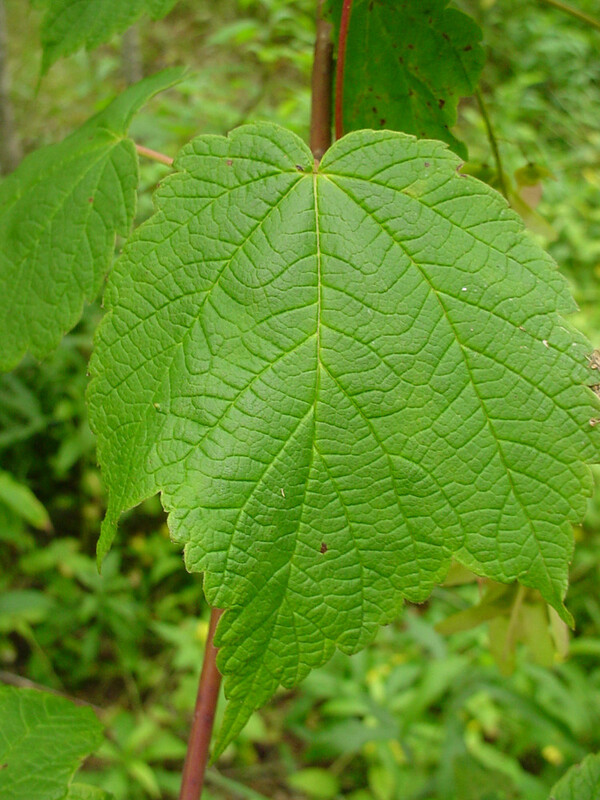 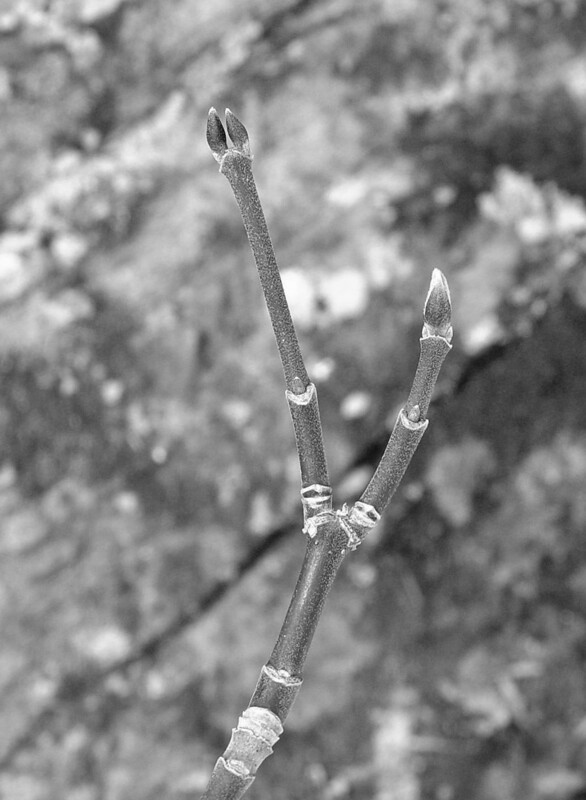 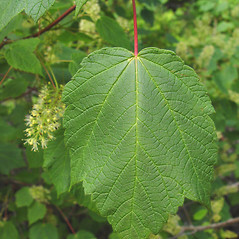 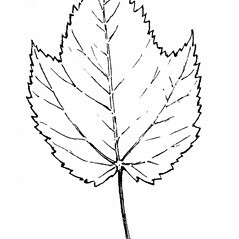 leaf blades mostly 12-18 cm long, branchlets and winter buds without hairs, and bark of main stems with longitudinal stripes (vs. A. spicatum, with leaf blades 6-12.5 cm long, branchlets and winter buds minutely hairy, and bark of main stems without longitudinal stripes). 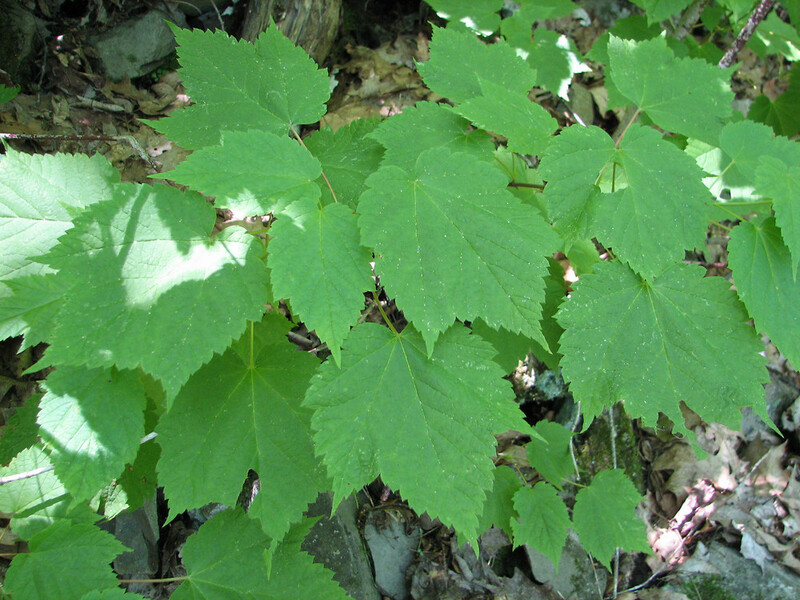 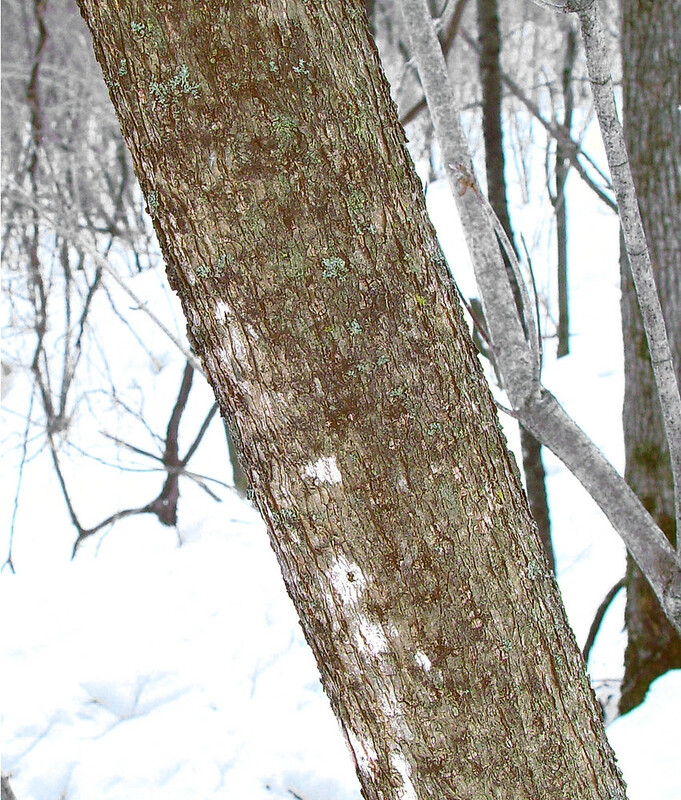 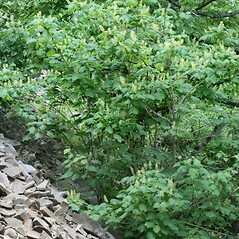 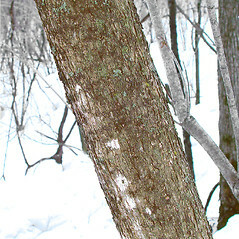 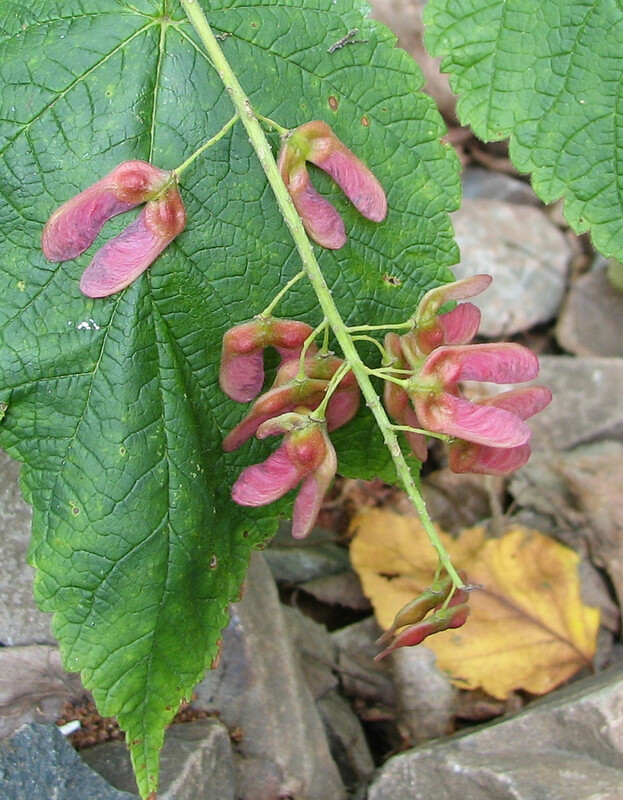 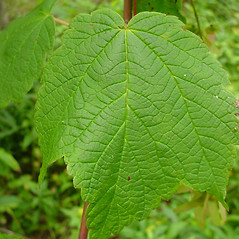 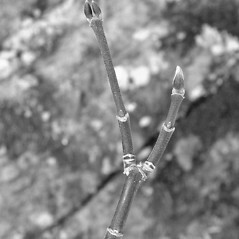 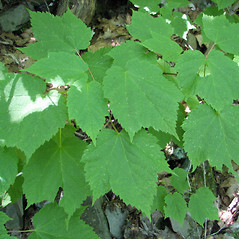 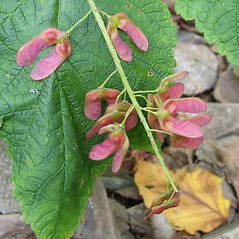 mountain maple. 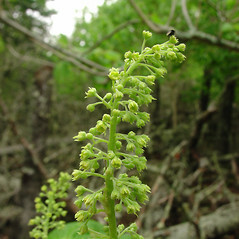 CT, MA, ME, NH, RI, VT; rare or absent in southeastern New England. 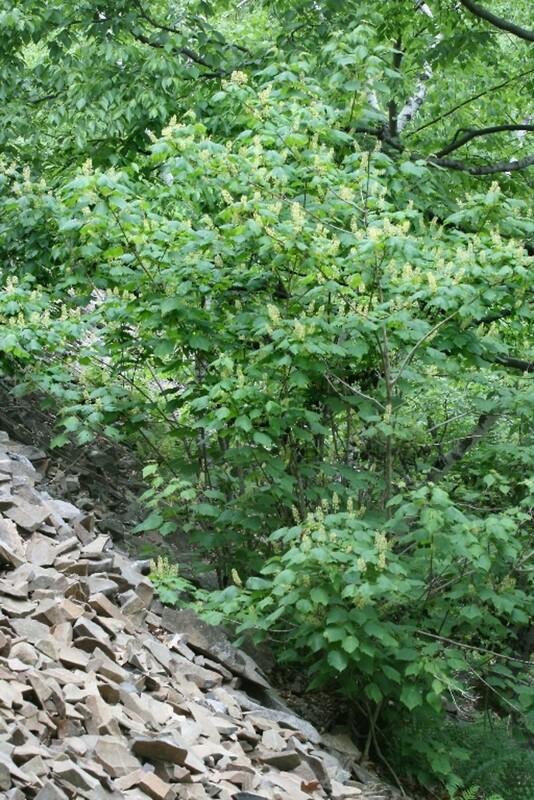 Forests, woodlands, talus slopes, ledges, stream banks.